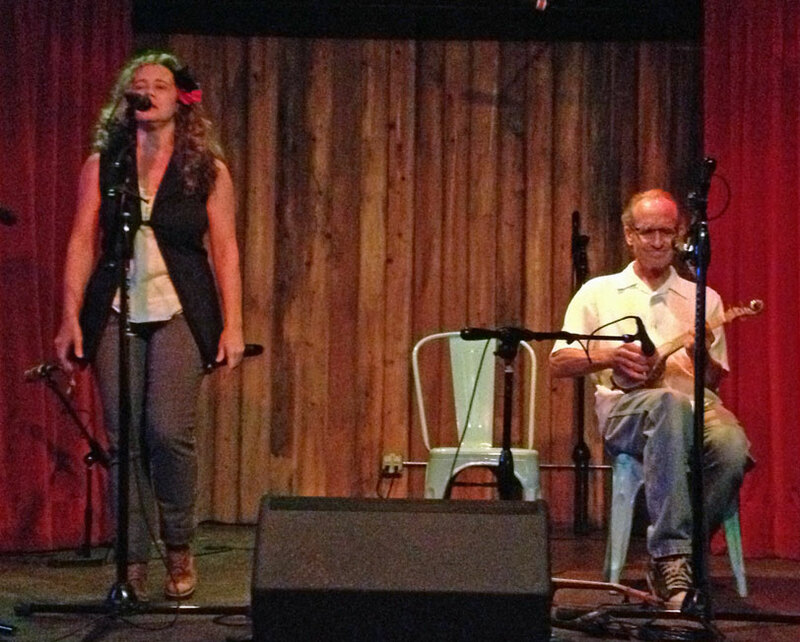 The Austin Ukulele Society hosted its first ukulele open mic night at the Rattle Inn on Wednesday, Sept 18th. There was a great turnout of performers with 14 solo and duet acts, who signed up to play two songs each. We had another 20 ukulele enthusiasts in the audience, showing their appreciation for this fun ukulele-filled evening. We were all treated to a great range of musical styles, both cover tunes and original compositions, as well as familiar acts and ones we hadn’t seen before. 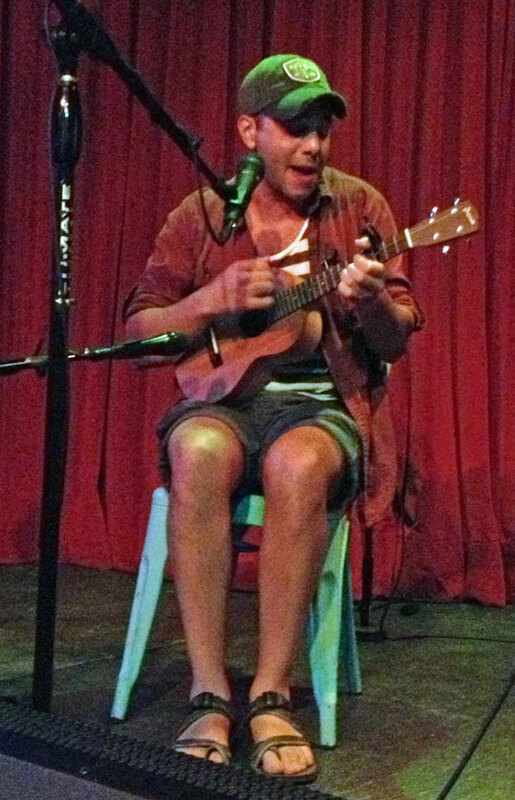 A big shout out to Nathan Antar, visiting Austin for the first time from the Bay Area (with uke in hand), who found out about the open mic night that day, when searching the web for Austin ukulele activity. We were given the chance to have anyone who wanted to come up and play a third tune after running through the sign up sheet once, and several performers delighted us with an ‘encore’, keeping the ukulele music going till after 10pm. The AUS looks forward to hosting another ukulele open mic night in the near future, and hopes the delightful Rattle Inn staff will welcome us back. A big thanks to Evan, our sound engineer, and the rest of the Rattle Inn crew for serving great drinks and making us welcome. Keep strummin’ and singin’ and we look forward to seeing y’all soon! 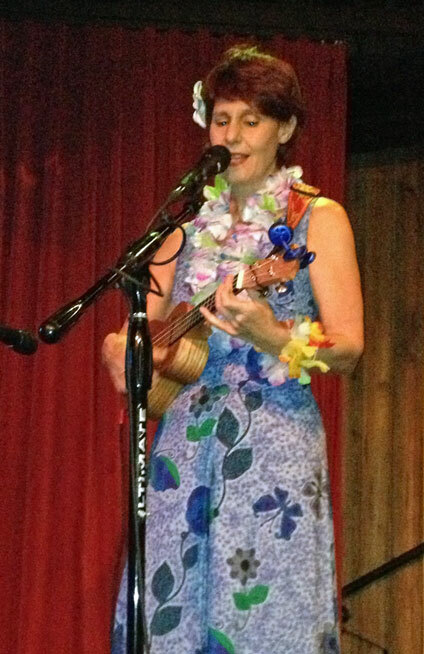 This entry was posted in AUS activities on September 22, 2013 by Austin Ukulele Society.